I’m going to be honest, I am not a huge fish-eater but this baked salmon recipe is the bomb! It’s tender, delicious and with only 3 ingredients, its quick & easy to prepare. 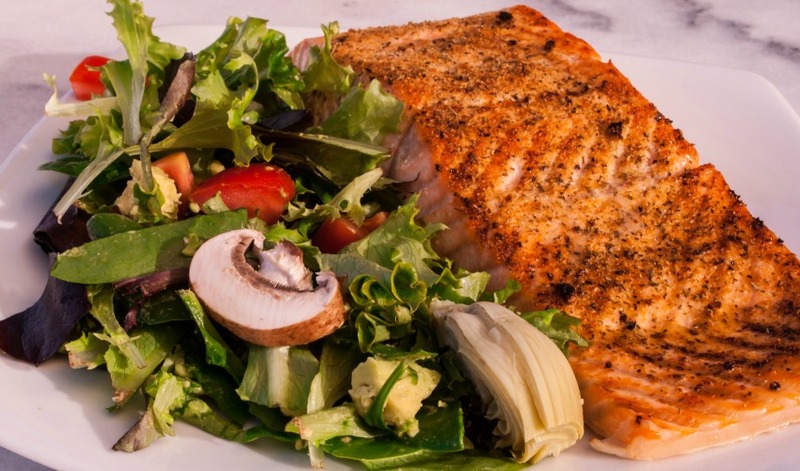 Salmon is one of the most nutritious foods on the planet. It’s rich in Omega 3-fatty acids, high in protein, high in B-vitamins, high in Potassium, and can help with inflammation so if you can find a salmon recipe you love…eat up! 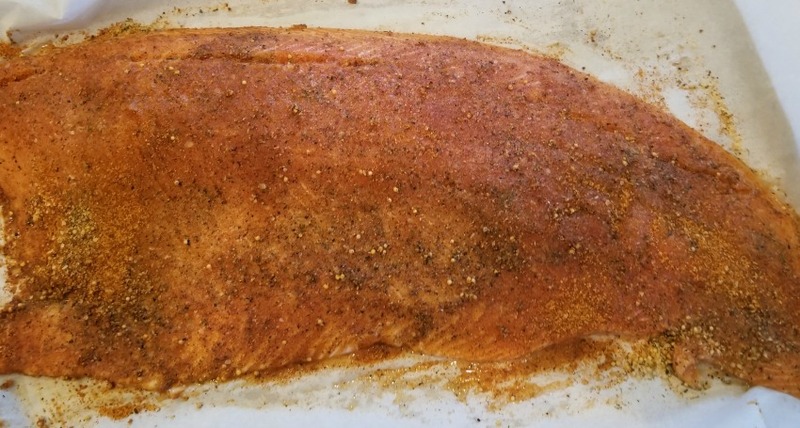 Step 1) Rinse salmon and lay on a parchment paper-lined baking sheet. Let salmon reach room temperature before seasoning. Step 2) Rub salmon down with Jack Stack meat & poultry rub. Step 3) Lightly sprinkle with Magic Salmon seasoning. This has 1 gram of sugar so use sparingly. Step 4) Bake at 425 degrees for 20 minutes. 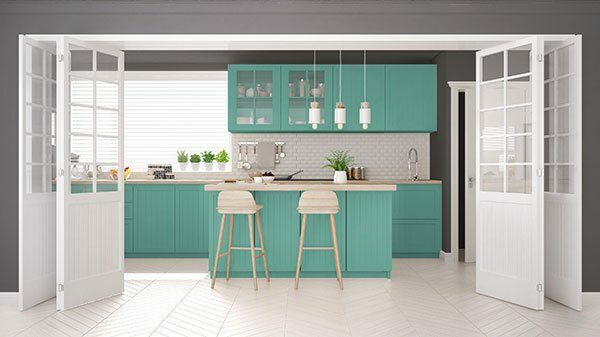 Let cool before cutting. You could also place this salmon on the grill at the same temperature for the same length of time. I'm going to be honest, I am not a huge fish-eater but this baked salmon recipe is the bomb! It's tender, delicious and with only 3 ingredients, its quick & easy to prepare. Rinse salmon and lay on a parchment paper-lined baking sheet. 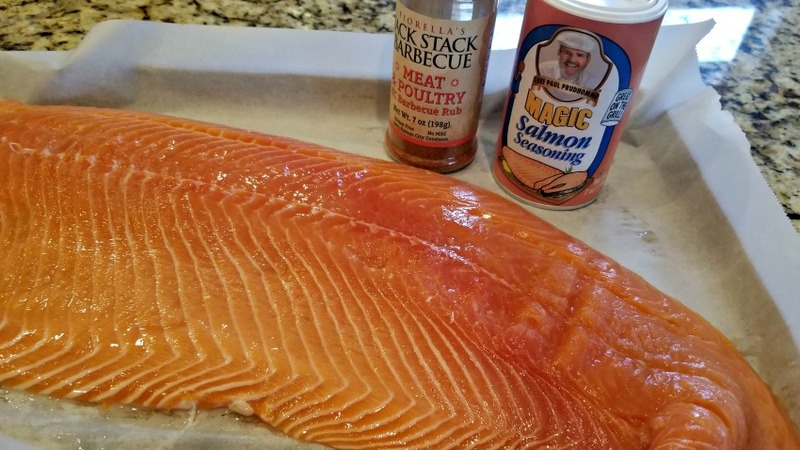 Rub salmon down with Jack Stack meat & poultry rub. Lightly sprinkle with Magic Salmon seasoning. This has 1 gram of sugar so use sparingly. I love to pair this recipe with either a big salad or with my oven-roasted vegetables. 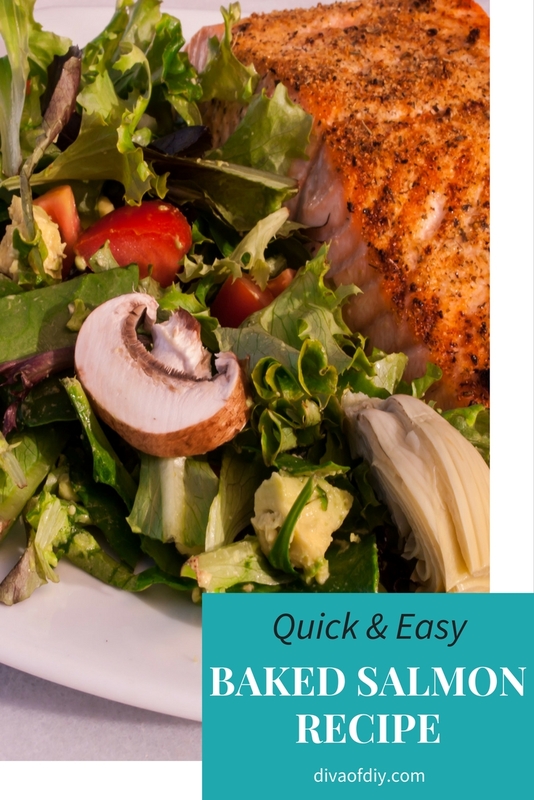 This oven baked salmon is delicious reheated. We usually have this meal on Sunday night and I make enough to pack a couple of meals for the week.